"I do!" - that's what the bride is thinking about today! Take care of all the preparations - the girl is to excited to make decisions about lipstick and veil choices! 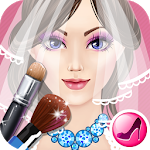 Start with SPA and then continue with makeup to complete the Wedding Makeover! HOW TO PLAY: first, choose one of the gorgeous characters - just tap the screen! 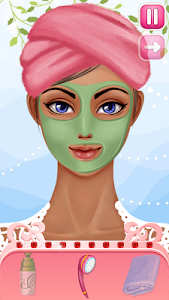 Then, select whether you start with SPA or make up. Tap the icons to select a category and choose an item you need! Slide the screen to apply spa instruments: shower, face wash, brush for mask and so on. Also, you can save the picture and share it with friends! When the face is clean, you can start the bridal makeup! You can start with changing hair color and haircut, then change eyes color! 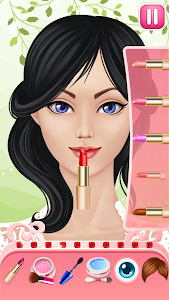 There's a wide choice of cosmetics: lipstick, mascara, fake eyelash, blush and others. 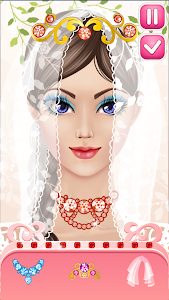 You can finish the outfit with fabulous jewels: pick a veil, a tiara and a necklace to make the bride look like a princess! Make the girl look good, from hair to lashes! ♡ 2 gorgeous brides to chose from! 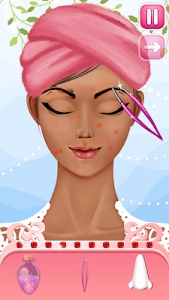 ♡ - 2 playing modes: Spa and Make Up! ♡ Relaxing Spa instruments, from shower to face mask! ♡ Multiple makeup categories, from lipstick to mascara! ♡ You can change the hair and eyes colors! ♡ Select a haircut that fits best! ♡ Bridal accessories: veil, tiara and necklace! 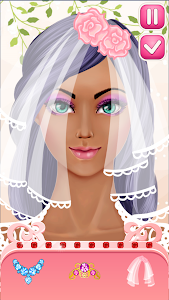 Make your bride look gorgeous and feel happy! 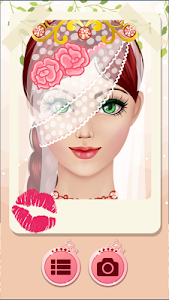 Complete the Wedding Makeover and share the result with your friends! Follow us on Facebook https://www.facebook.com/GirlsAppsOnly and always remain up-to-date with updates and improvements regarding our striking apps for girls! You can also follow us on Twitter https://twitter.com/GirlsApps and appreciate everything we share about our girls apps! - Hair Treatments! Wash and Style her hair for the perfect look!